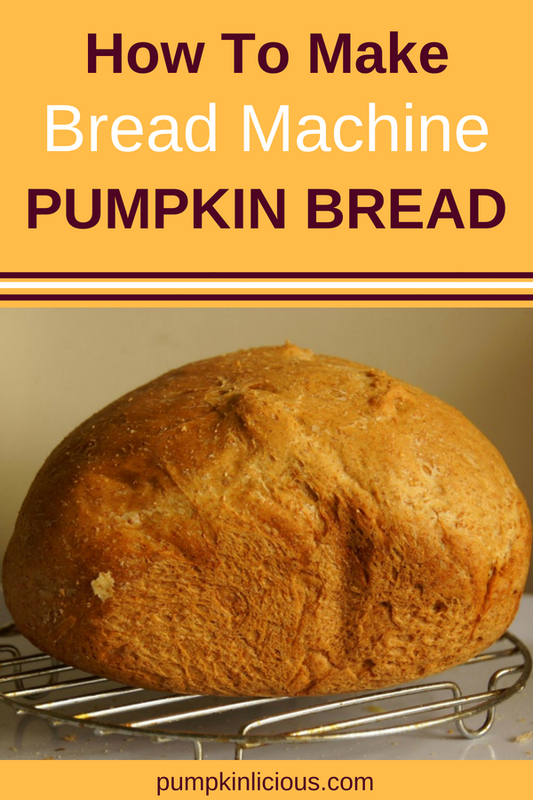 Bread machine pumpkin bread is one of the easiest and tastiest things to make in the kitchen! 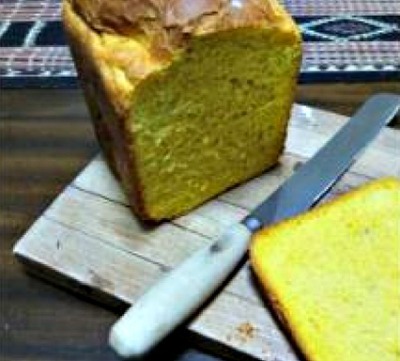 If you own a bread machine, making this moist, fluffy pumpkin bread is super simple and easy. It’s almost no different than making regular bread. Be prepared to make a bit of a mess and use up most, if not all of your counter space, but the aroma of fresh bread, pumpkin, and herbs will make your home smell heavenly. Definitely worth the mess! If you want a smoother taste, you can omit the herbs altogether. Go with your favorites, or feel free to explore! I personally used thyme and sage, but basil, oregano, and marjoram would also be a good idea. 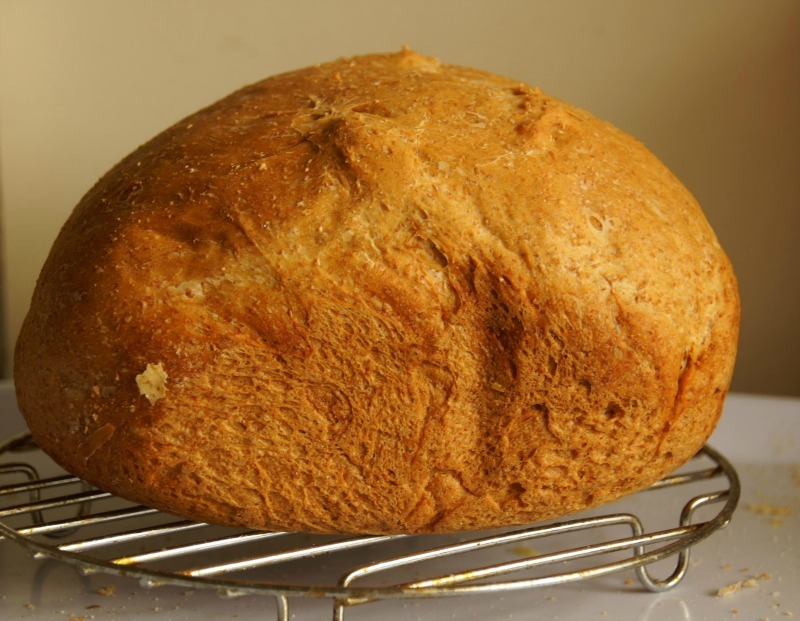 Let your bread machine do the work in making this yummy homemade bread! 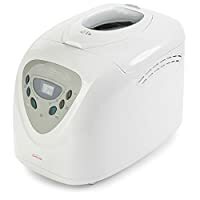 In general, follow the instructions for your bread machine. Pour the milk in first. Mix the dry ingredients with the pumpkin and oil separately, then pour them into the machine. Start the standard cycle for your bread machine. Here;s my pumpkin bread. It was fluffy, moist, and really tasty: one of the easiest things I’ve done in the kitchen. It works really well with cream cheese, or on the side with a hot bowl of soup on a cold fall day. You can experiment with different sandwich fillings, such as stuffed with salad and hummus for a nutritious, delicious, and easy lunch. For something this easy to make, it never fails to impress any friends you may have over. If you’re in a rush in the mornings, you can start it in the evening and have it waiting for you to spread some butter and jam on it first thing in the morning before you head out for work. 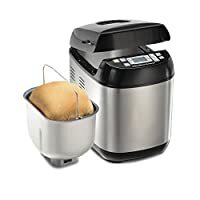 Here are some of the best bread machines for your pumpkin bread (and other breads too). You can add lots of other flavors to pumpkin bread to give it a different taste. I have made several other types of bread machine pumpkin bread and they all taste equally good.